Offering some of the best executive suites in Las Vegas, this impressive center has it all. 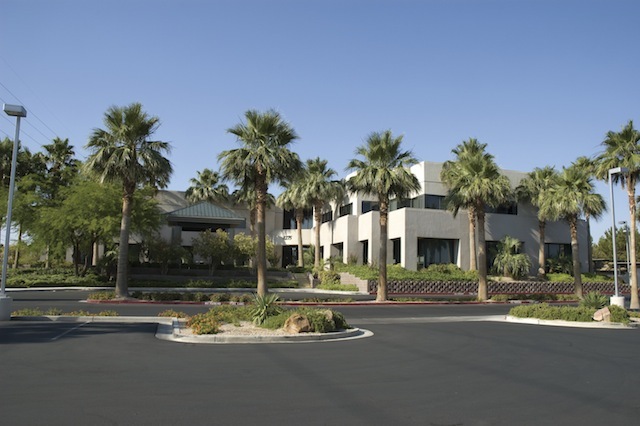 With stunning views of the Las Vegas valley, our luxurious offices and unmatched on-site owner management truly set the bar for what office space should look and feel like. Conveniently located to two major I-215 interchanges and only 5 minutes from McCarran International Airport. Not everything in Las Vegas is a gamble! You can be rest assured that you are making the right decision by choosing us for your new business address.